Come and Visit Rotorua this Spring! Family Fun and Adventure for Everyone! 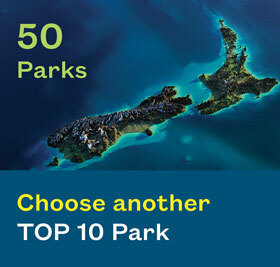 Rotorua is home to over 15 beautiful Lakes and Blue Lake TOP 10 is ideally located to take advantage of them! Walk across the road for a swim in Lake Tikitapu or take a short 5 minute drive to Lakes Okareka or Tarawera. Whether you're here for boating, fishing, kayaking or to simply relax on the beach, Blue Lake TOP 10 is the perfect base for your holiday. 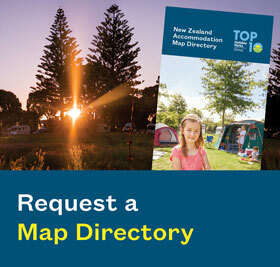 At Blue Lake TOP 10 Holiday Park Rotorua, we have a wide range of Rotorua campground and motel accommodation to suit all budgets – Lakeview Motels, Self Contained Units, Cabin Accommodation and Tent Sites. The Tikitapu Lakeview Motels offer you a more comfortable stay and are very popular with our guests. We offer spacious motorhome and camping sites with or with out power, many are hedged and back onto luscious NZ native bush to give you that extra privacy. We recommend booking in advance to not cause dissapointment, especially over the peak season in December/January. 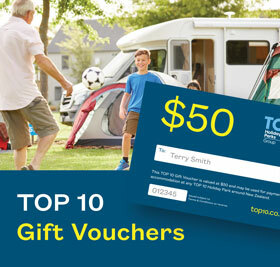 Blue Lake Top10 is owned and operated by Rotorua locals Brian & Sheryl Murray along with their exceptional team led by John and Lorraine and Patrick and Kelsi, who all have a passion for the region and great local knowledge. Your hosts will welcome you and are available at the office for any enquires throughout your stay! We have comprehensive tour information and booking services for travellers coming to Rotorua. Many tours will provide a pick up and drop off service to Blue Lake including the Tamaki Maori Hangi and Concert. Blue Lake TOP 10 Holiday Park Rotorua has something to offer everyone – enjoy a TOP 10 Holiday experience in a typical 'Kiwi' holiday park with a truly unique location!